Accurate Reporting and Video Service, Inc., takes pride in offering an ultra-professional, hospitable, and comfortable atmosphere. 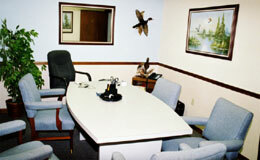 We have recently expanded our Ocala office to where we now offer 8 beautiful conference suites. 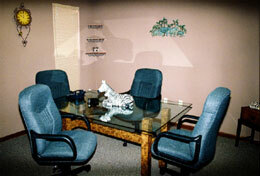 These suites are available for depositions, mediations and meetings with clients and/or prospective clients. All suites are equipped with speaker phones. 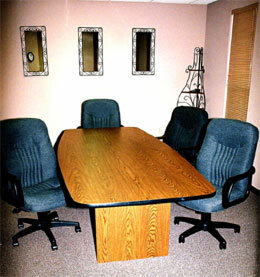 Also, we are now proud to offer a private attorneys' lounge. 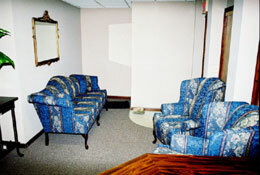 Whether you use this room for deposition preparation or just to relax in your downtime, a DSL internet connection and a speaker phone are always on and available for your use. 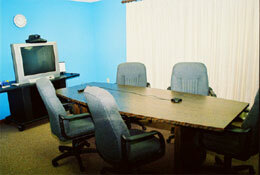 If you are visiting from out of town, think of this room as your office away from home. Just drop by, there is no appointment necessary. Of course, a fax machine and both a color and black-and-white copy machines are available on premises. 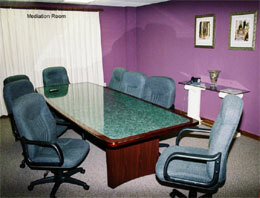 As well, if we have advance notice, you can have a TV/VCR and/or a portable view-box set up and ready to go for your deposition. Our staff is always on hand and happy to help you with whatever you need. 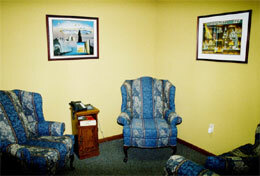 Our facilities can also easily accommodate Independent Medical/Psychiatric/Vocational Rehabilitation Evaluations. We have satellite sites available in Gainesville, Crystal River, Inverness, The Villages, Leesburg, Chiefland, and Cross City. And, as we know how the legal profession may not always send you to the most convenient of locales, we are always happy to locate and set up temporary venues in almost any place in North Central Florida. In other words, if we don't have an office there, we'll find you one. Free parking is readily available and, of course, is handicapped accessible.